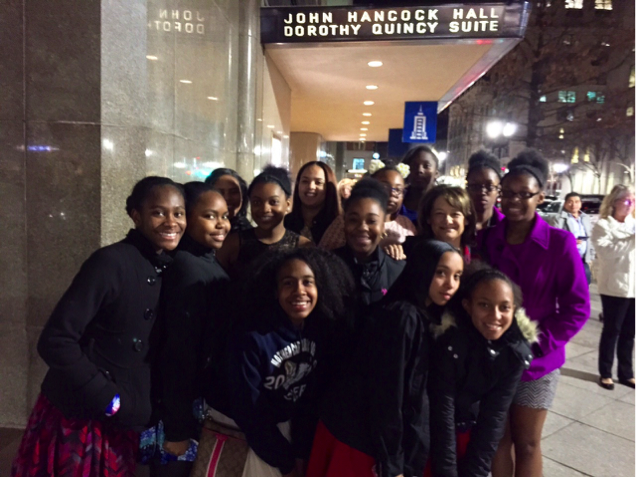 On Saturday, December 12, 2015, the 8th grade class with their class sponsor, Kearin Lewis, and several parent chaperones, went into Boston to see the Urban Nutcracker. Prior to the performance, Tony Williams, Founder & Artistic Director of the Urban Nutcracker, and Dustin Rennells, Operation Manager, provided the group with a backstage tour. “Urban Nutcracker puts a modern spin on the 19th Century fairy tale and transports the audience to an enchanted world not unlike their own.” Tickets were made possible through the generosity of Phill and Liz Gross.